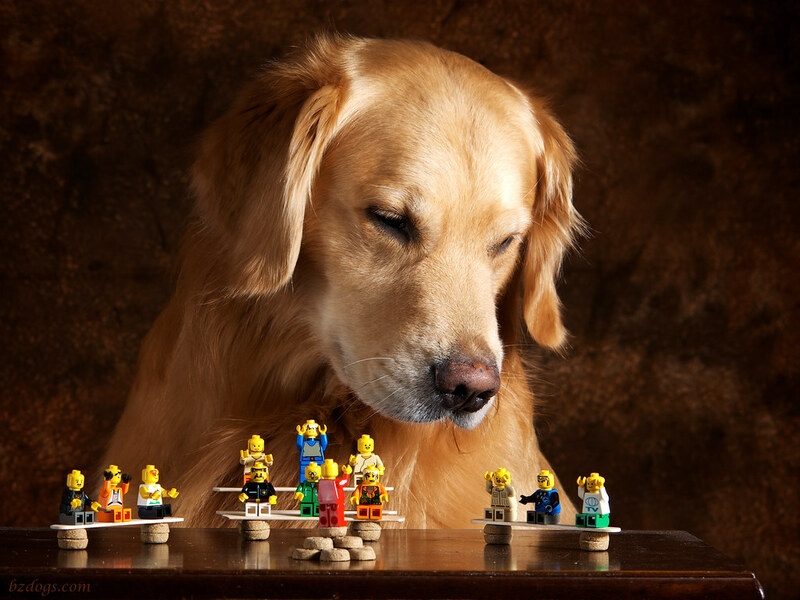 LEGO: "You can do anything you want to do." Zachary: "Oh no, not these guys again." 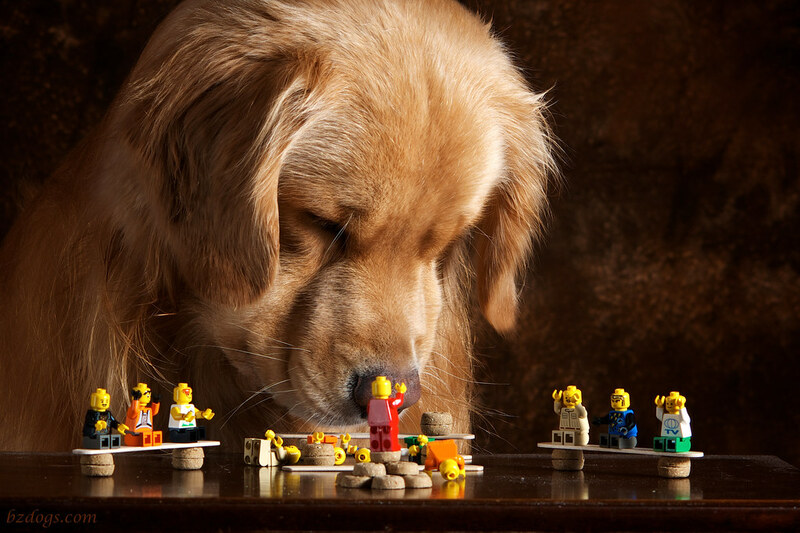 LEGO: "The world is what you make of it." Zachary: "Those benches are made from my Dog Cookies!" LEGO: "If you build it..."
Zachary: "... I'll eat it!" 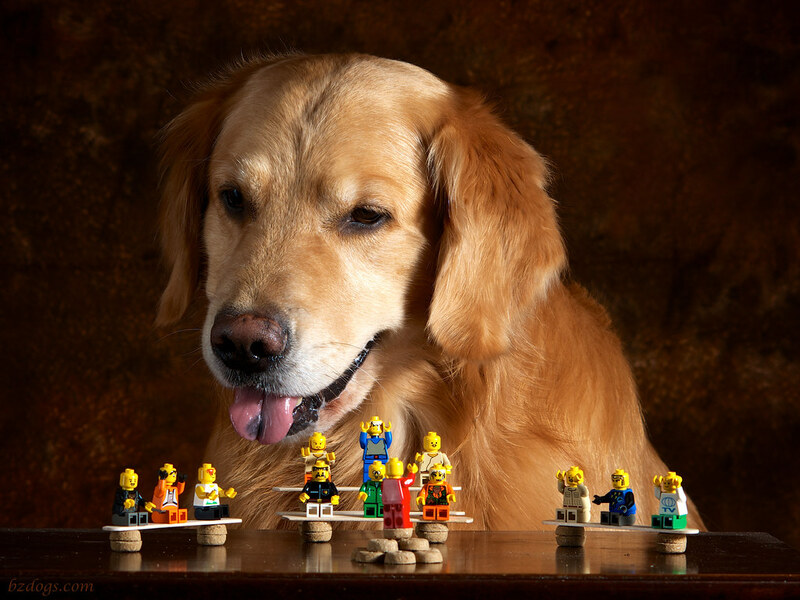 Looks like the LEGOs are having a Motivational Speaker tonight, having built their (bitty) Benches using Dog Cookies as blocks. Although it looks like the boys are looking rather Forlorn about that. Our Daily Challenge - August 13, 2013 - "Bench"
Daily Dog Challenge "652. 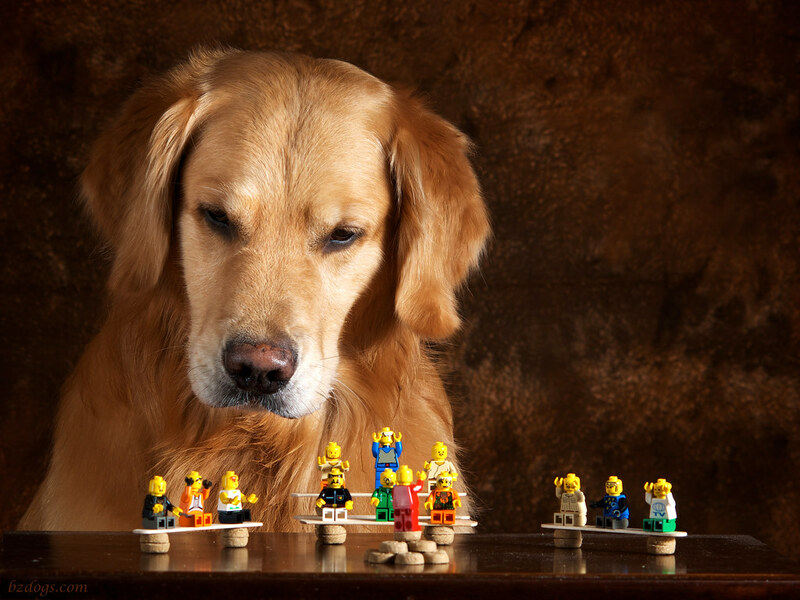 Forlorn"
Henry: "Momma, the LEGOs got into the Dog Cookies. Again." Oh Henry, they are only borrowing them. I'm sure they'll give them back when they are done. Henry: "Oops! He he he. Sorry about that guys. Are you done now?" LEGO: "Never give up. Never surrender!" good one today!!! 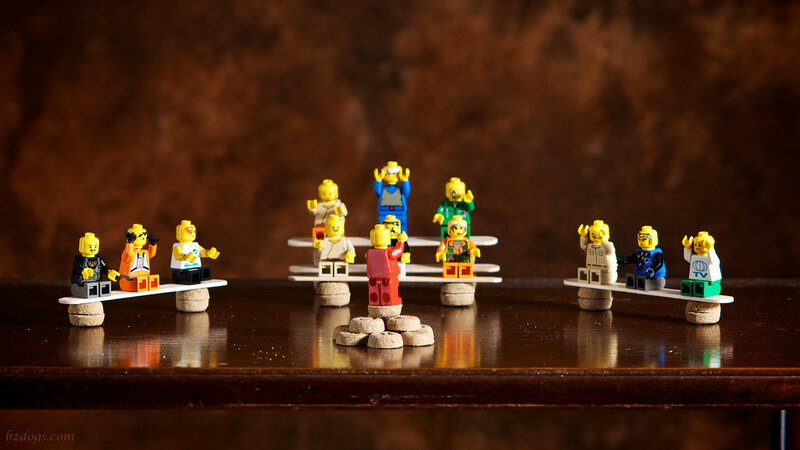 love the use of lego men!! OMD Zachary & Henry you are being overtaken by mini Munchkins again. Disband the protest and eat the cookies we say. Have a wonderful Wednesday. How cute! Hope you did not eat them! Happy WW! As long as they give the cookies back I guess it's OK that they borrow them right? But, they have to give them back! Those faces are priceless. Happy WW!